Boston at Cleveland, 5 p.m.
Houston at Golden St., 7:30 p.m.
MIAMI – LeBron James loves rivalries. Ohio State-Michigan. North Carolina-Duke. Cowboys-Redskins. Those are some of the favorite matchups he’s cited over the years, ones that have been honed by the flowing of bad blood over generations. Kyrie Irving left Cleveland only two months ago. By James’ own definition, he and Irving wouldn’t be rivals yet. The rest of the NBA may argue otherwise, and when Boston and Cleveland meet in the season’s opening game Tuesday night many may call it a rivalry game – not because the teams played in the Eastern Conference finals last spring but because James is still with the Cavs and Irving is now leading the Celtics. Gone are the days of venomous team rivalries: Celtics-Lakers, Bulls-Pistons or Heat-Knicks. Sure, there are the Warriors-Cavs, maybe even Thunder-Warriors. Sort of. In this NBA, the animus is almost always about individuals. Ask around the NBA, and it seems like everyone defines rivalry differently. Miami center Hassan Whiteside thinks they’re fueled by Twitter – a point he proved when he and Philadelphia’s Joel Embiid started a big-man beef on social media over the weekend. Cavs guard Dwyane Wade has said teams need playoff histories before becoming rivals. Warriors star Stephen Curry says seeing old rivalries on television actually inspire him. But the two matchups that seem to most move the needle in NBA rivalry talk now are breakups of superstar duos. Not long ago, it was Shaquille O’Neal and Kobe Bryant. Last year, it was Russell Westbrook and Kevin Durant. 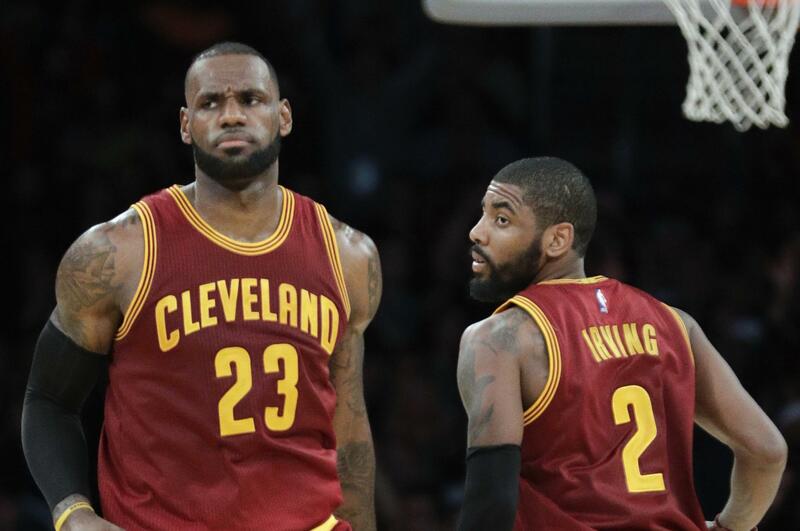 This year, Irving and James join that club. And as luck would have it, the NBA schedule – which was done before Irving got traded to Boston – has them paired in Game 1 of the season. Cavs guard J.R. Smith may have added fuel to the rivalry – by suggesting there isn’t a rivalry. “There’s different people in different jerseys, but I mean, I don’t really pose them as a big threat to us,” Smith said. Charlotte coach Steve Clifford said rivalries have always appealed to him. The Hornets don’t play Tuesday – it’s only Cavs-Celtics and Houston-Golden State on the schedule – so odds are, he’ll be drawn in by watching some of the drama in Cleveland. Those Heat-Knicks battles were settled on the floor. Often now, the toughest actions can be found on Twitter. Former player Kenyon Martin took an electronic swing at Jeremy Lin earlier this month about the Nets guard sporting braids; Lin went back at Martin about his use of Chinese tattoos. Whiteside and Embiid typed back and forth over the weekend after their preseason matchup, and Embiid even got a veiled jab at Durant’s usage of a secret Twitter account in there. CJ McCollum and Chandler Parsons went at it in January in a brief, hilarious exchange. Irving would agree. He thinks Tuesday should be about the game, more than any rivalry, real or imagined. “It’s just basketball, man,” Irving said. Published: Oct. 16, 2017, 7:46 p.m. Updated: Oct. 16, 2017, 10:45 p.m.